Here you can find information on the 2017 mathematics AS and A level and on how using Underground Mathematics resources can support the teaching of these qualifications. Outlined below are some of the changes that will affect A level mathematics teaching from September 2017. A level examined at the end of two years, AS no longer counts towards the A level. The Department for Education has specified 100% of the content of AS and A level Mathematics. 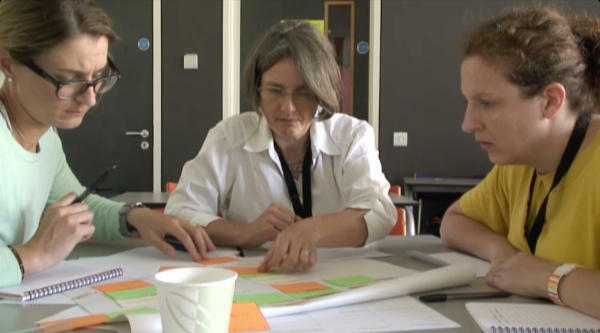 “Argument, language and proof”, “Problem solving” and “Modelling” are themes that should run through the teaching of the A level, and will be examined. Both mechanics and statistics have been included in the compulsory content. Graphing software and spreadsheets should be used throughout the course. Underground Mathematics is built around connections in mathematics. Whether through the tubemap, pervasive ideas, or the explanations in solutions, we encourage students and teachers to notice connections and build up a coherent picture of mathematics. This will be a key component of succeeding in a linear course. Our resources encourage students to think deeply, to reflect on the tools and approaches they use and to work collaboratively in the classroom. Using any Underground Mathematics resources can therefore help in the delivery of the overarching themes of Argument, language and proof and Problem solving. The third overarching theme of Modelling is more specific and several of our resources address this theme. Suggestions can be found below, or by searching for ‘modelling’. Mechanics and Statistics will now be taught to all students. We have resources that are tagged as mechanics (and can be found by searching ‘mechanics’) that will be beneficial not only as classroom resources, but as support for teachers who are new to teaching mechanics. We plan to provide statistics and probability resources in the future. Our resources are interesting problems that build up students’ ability to problem-solve, reason and think mathematically. We therefore recommend regularly using Underground Mathematics resources in your classroom. 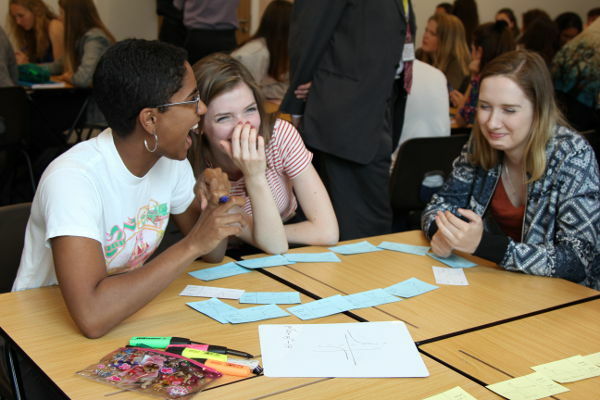 To help embed our resources into your teaching, and support you in delivering the new A level, we have put together a spreadsheet that offers resource suggestions for each of the content statements in the DfE specification. For each content statement, we have suggested up to three of our rich resources and up to three Review questions. Each suggestion is hyperlinked to take you directly to the resource on the Underground Mathematics site. Resources that are particularly good at supporting the overarching theme of Mathematical modelling have been highlighted. Remember that many of our resources can be used in other ways beyond those indicated on the spreadsheet, and that the resources listed are only suggestions. You can find a wider range of resources on the site using the tubemap or the search facility. Some content areas do not yet have suggestions as we are still developing material: the spreadsheet may be updated in the future to reflect this.